Few people know Australian Rules football better than Chris Judd. He's one of the game's out-and-out champions, having captained two of the greatest clubs in the league - the West Coast Eagles and Carlton - and taken the Eagles to premiership victory in 2006. He's won the Brownlow Medal twice, been a dual Leigh Matthews Trophy winner - awarded to the AFL's Most Valuable Player as voted by the players - and selected as an All Australian six times. His autobiography is a unique journey into the game, describing with extraordinary candour what it's like to climb to the highest levels, to achieve the ultimate goal of your sport, and to experience the full measure of heartache and failure that inevitably accompanies more than a decade of playing at the elite level. 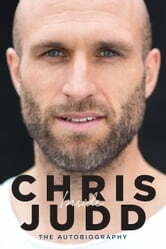 Few sportsmen have shared such intimacy and insight into their world, and the result is a book that's worthy of Chris Judd the player - intelligent, surprising, and head and shoulders above the competition.